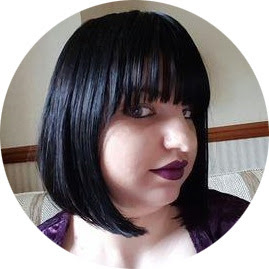 This review is a little bit different than some of my other reviews and strays more into health rather than beauty but cleaniness is something that most of us just take for granted. However I was recently contacted by Dettol who sent me information about "Sick Bed Syndrome" and I was really rather shocked. "Mattresses, beddings and pillows can become reservoirs of human cells, bacteria, fungal elements and excretions of the body. These reservoirs provide ideal conditions for dust mites with up to 10 million found feeding in just one bed]. While dust mites themselves are harmless, their faeces and body fragments can trigger allergic reactions prompting our body to release histamines to attack the allergen. This can cause eczema and hay fever, and estimates suggest dust mites may be a factor in up to 80 percent of asthmatics"
I have always taken that my sheets and my clothes are clean, but when I only use an energy saving 30 degree wash am I really cleaning my washing as well as I can? in temperatures as low as 30°C. When you think about it a third of our day is spent in our beds, I spend a good six plus hours a day in my work uniform too, therefore it is really important to me that it is as clean as it can be. I have been using Dettol's cleanser with my washing and to me it honestly feels cleaner. I love the idea of that added anti-bacterial ingredients which makes sure washing really is clean. 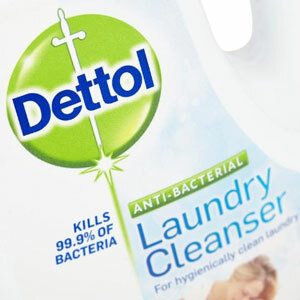 Unlike other Dettol products there is no strong chemically-cleaning smell just a freshness which I really like. I have been using this cleanser for both my clothing as well as my bedding and think this is a great product especially if you have children to give you that added security. It was interesting to see that even my boyfriend noticed a difference in the washing after using this product. You can by this product at most large supermarkets. Sounds like a great cleanser.